A high frequency vertical microwave radar providing sea level, tide, non-directional wave monitoring, ride control and air gap measurements. 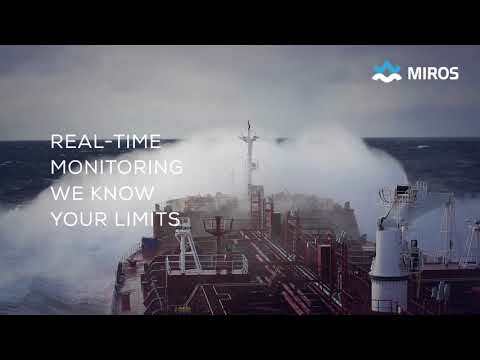 Miros - What if you could improve vessel performance? The RangeFinder is a high-frequency vertical microwave radar providing sea level, tide, non-directional wave monitoring, ride control and air gap measurements. The low frequency of operation (compared to laser sensors) provides accurate measurements undisturbed by fog, rain and water spray. The sensor can also be delivered with motion compensation for wave measurements on vessels. The Miros RangeFinder measures with millimetre accuracy (+/- 5mm). With motion compensation (MRU), it is the only system in the world for providing wave parameter data with sufficient accuracy to meet DNV’s Offshore Standard DNV-OS-H101, Marine Operations, General. The sensor emits a microwave FM chirp signal and receives the echo from the water surface. The signal propagation delay given by the distance from the antenna to the water surface causes a beat signal in the receiver. By means of advanced signal processing, the beat frequency is converted to an accurate distance. The FM chirp is generated by a digitally synthesized frequency sweep oscillator with absolute frequency linearity and high stability. The sensor, therefore, provides accurate range measurements and high long terms stability. Up to 50 measurements per second are averaged over a user-selectable averaging time and the distance to the surface can range from 1 to 100 meters – much more than any competing product. Wavex® is a virtual sensor designed for wave and current measurements using data from a standard marine X-band radar. The system is operative at all ship speeds and from fixed locations. Ask for a quote Contact Miros AS to receive a quotation. Fill in the form below to send out a contact request to Miros AS.